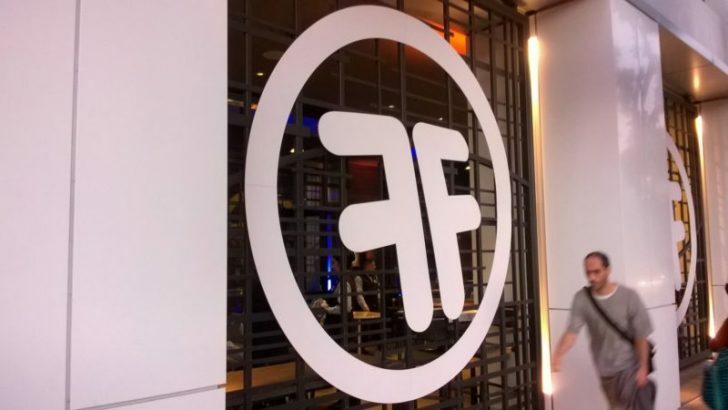 Tod Nielsen chose FinancialForce’s Community Live event in Las Vegas to unveil his new strategy for the software vendor. Nielson was appointed almost six months ago. 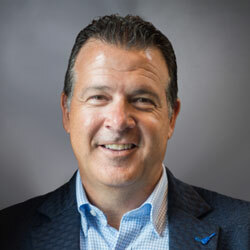 Appointed to grow the company from a $100 million company to $1 billion and beyond, he has brought in Fred Studer as CMO. He has also started to make other critical decisions. For much of the main keynote in Las Vegas, Nielsen talked about the new services economy. Much of the speech was similar to that he gave in London. The aim though is to be “The No1 ERP for services”. To realise this he has decided to end development of the HCM product and form a strategic partnership with ADP. The biggest and most important announcement is the partnership with ADP. Both the announcement and the press release fell short of the blunt truth. FinancialForce will no longer invest in a stand alone HCM solution. Instead it will retain and develop the elements critical to its Professional Services Automation (PSA) module. FinancialForce will also start integrating its existing product with two ADP solutions; Vantage for large enterprise and Workforce Now for the mid-market. It will maintain the current HCM solution until 2022, at which point support will cease. We see this as a gutsy decision and one initiated only a few weeks ago according to Nielsen. The final agreement was only signed a few days ago between ADP and FinancialForce. Although FinancialForce was often confusing about the detail in its communications, the deal is done. Both Studer and Nielson faced deep questioning from the audience about the implications. The decision, nevertheless, makes sense in our opinion, even if much of the detail has yet to be thought through. This doesn’t mean it won’t be. Nielsen has set an aggressive schedule for the integration with ADP’s solutions. His expectation is that the first phase of the integration program should complete by the end of this year. With immediate effect, FinancialForce will no longer develop its current core HCM product (as stated earlier, it will maintain this for customers). Those development dollars will be spent in other areas. What led Nielson to seek this partnership? He commented: “The answer is focus. One of the things I’ve learned in my career is that when you’re a startup, when you’re ten, twenty, thirty people, you have to focus because if you don’t focus you don’t eat. When you’re VMWare, Microsoft, Salesforce, you have to focus or you just step on each other every day and you can’t get anything done. With only 170 customers out of 1350 using its HCM it was clearly not a market leader. As such, Nielsen made the decision to axe a minor product line. The difficulty is that HCM is intrinsic to his chosen direction, supporting the PSA product which has around more than 700 customers. To achieve that he has partnered with ADP. To some, that might seem odd. Though the ADP solution doesn’t sit on the Salesforce platform, there probably isn’t a better choice. On Force.com it is hard to find an HCM solution suited to larger enterprises. The exception is, perhaps, Fairsail. But this a competitor that Sage now owns (it was recently renamed Sage People). While Workday integrates with Salesforce, it isn’t on the platform and is also a competing product. There are other solutions but ADP is undoubtedly the strongest and also brings its global payroll solutions to the table. From a larger perspective, ADP fits Nielsen’s expansion strategy for several reasons. It is already a global product, and internationalised. It also incorporates the payroll solution that FinancialForce was never going to develop and one that many customers demand. These enable FinancialForce to expand its footprint abroad rapidly whenever it chooses to do so. deliver integrated HCM and payroll solutions to other partners in the future. In addition, ADP and FinancialForce possess many common customers. Nielsen was unable to reveal the exact figure when asked. What he made clear was that these common customers liked the news of the partnership. That FinancialForce felt obliged to reveal the news at Community Live to prospects currently looking to buy HCM, suggests that the decisions and communications around the partnership were made quickly. On balance though this was the right decision. In making the decision at the event they reached more customers and quicker than they would have done otherwise. Allegedly, ADP will make the migration to its integrated HRM financially attractive. The actual details of this were not made public. Nielsen did state he believed these migration costs would be included at no penalty to customers. This is kind of detail that customers demand to know. There is also the issue of each customer’s internal costs – the time and disruption migrating to ADP. However, with five years to make the transition, most customers should be able to find the time. With access to the greater functionality in the ADP products, most will want to complete the change. So where will the freed up dollars go? Without the need for HCM development Nielsen is turning to PSA and Financials to deliver ERP for services. ET asked Studer whether this would produce an increase in vertical solutions. He responded in the affirmative, but not yet. When pressed later Studer mentioned several High tech, SaaS, healthcare, education, consulting and perhaps surprisingly government. It will be interesting to see what evolves over the next few months. The Initial investment will be in improving analytics capabilities and in the integration work. FinancialForce will invest in time and talent optimisation within PSA. This means that certain data will replicate from the ADP HCM solutions. However, not all will. The company is also investing heavily in Wave analytics. This will enable it to interrogate data outside of the Force.com platform, including ADP data. In theory, the PSA solution should provide the same depth of analytics that competitors will have in the future. This is a brave statement. It may come back to haunt Nielsen if he doesn’t accomplish it within the year. He must leverage the network he, Studer and the rest of the leadership team have built up during their career. ET suspects that Nielsen hopes FinancialForce can also attract existing ADP partners to come on-board. ADP possesses a go to market strategy which can compete with Oracle (which is building out its own cloud payroll solutions). FinancialForce will go through a transition over the next few months. It needs to complete the integration with ADP as quickly as possible because it is unlikely to sell more of its existing HCM solution. Once the ADP HCM integrated solution is available FinancialForce should be in a better place. It is clearly investing heavily in both financials and PSA: updates should be more regular and substantial going forward. Nielsen’s strategy for FinancialForce surprised many. As the news disseminated and details emerged through several Q&A sessions, most appeared to consider the strategy sensible. It should enable FinancialForce to concentrate on what it does best. Once the ADP integration is in place it will enable FinancialForce to offer a best in class core HCM solution. The partnership will also boost ADP. It should open more doors for its HCM solution. At its most basic and over the next few years, ADP should obtain 170 customers with only a tiny cost of sale. While immediate profits may not be high, they will accumulate over time.